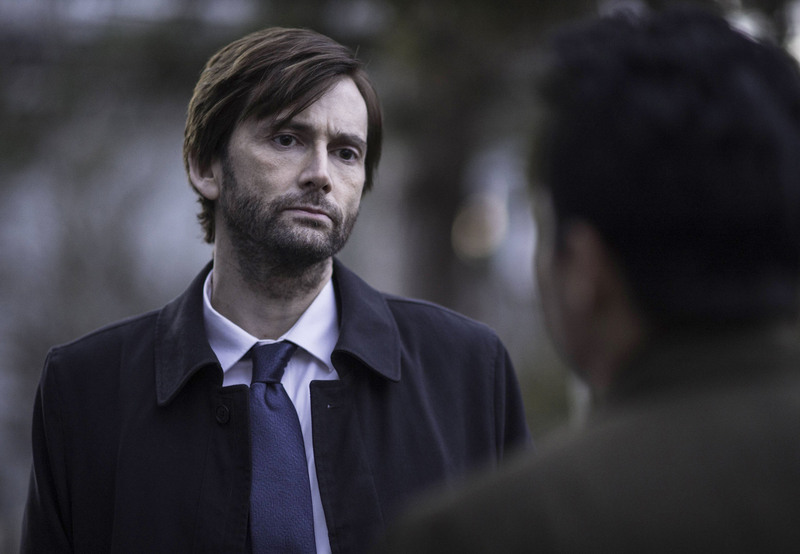 On Oct. 2 David Tennant takes on a role already familiar to British audiences, but relatively unknown in the US, when Gracepoint, the US adaptation of Broadchurch, premieres on FOX. The ten episode event series follows the tragic death of a young boy, and the major police investigation and nationwide media frenzy that subsequently overtakes a picturesque seaside town where suddenly anyone is a suspect. With the US premiere just around the corner (and Broadchurch currently ramping up for a second season in the UK), ScreenSpy hopped on the phone with Tennant to discuss the latest incarnation of the harrowing whodunnit, working with new co-star Anna Gunn (Breaking Bad) and why the similarities and differences between both shows are not something he, or a potential new audience, should worry about. 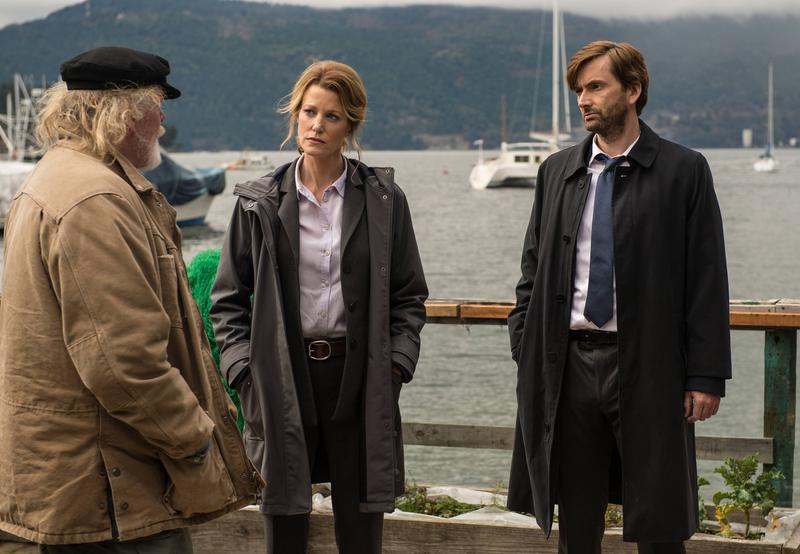 Follow @ScreenSpy on Twitter | ScreenSpy on Facebook for more Gracepoint scoop and interviews. For those who watch Broadchurch, what will we see with Carver, the US incarnation of your character that we didn’t see with Hardy? That’s probably not for me to say. It’s probably for someone who can be more objective to really know. I didn’t set out to reinvent something particularly. I think there’s a sense, with the whole show, that if it’s not broke, you’re not really out to fix it. We’re really out to tell this story to an audience who, broadly speaking, haven’t seen it yet. Do you have a favorite genre that you prefer to work in? I don’t really. I’m quite greedy for the variety, I suppose. I like the fact that I get to flip between them all. That’s something that I would sort of work quite hard to preserve my ability to do that, I suppose. There are advantages and frustrations with each, I guess. In theater, you get to tell a story many times, over a number of months, and you get to investigate every possible corner of what that story might be. Was perfecting the American accent a challenge? I think doing different accents is part of the job of acting really. It’s something else that I quite enjoy the challenge of, to be honest. Now that Broadchurch is returning for a second season in the UK, could Gracepoint similarly return for another run? Yes, there’s always an eye for that, isn’t there, with almost everything on television. We have to wait and see how the audience responds to it. 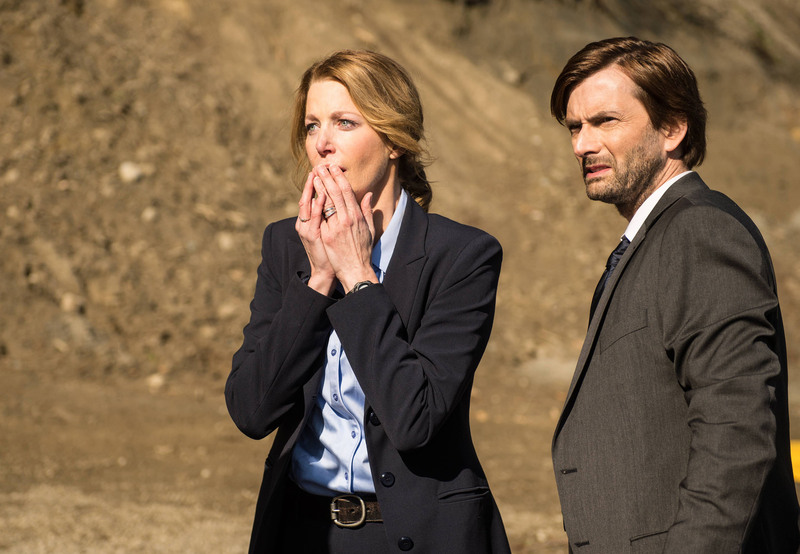 Broadchurch is going to a second season, so there’s no reason why Gracepoint shouldn’t. There’s a template there; although, a second season of Gracepoint might go off in a very different way. Who knows? All these things are to be decided. We’re all very excited about Gracepoint premiering in a couple of weeks. I just want America to take to it in a way that the UK did, because it was an extraordinary thing to be a part of. Even as objective as I can be, I think it’s a fantastic story that people will be thrilled by. Can you speak about working with Anna Gunn and the relationship between your respective characters? Yes. The central relationship between Carver and Ellie so defines the show really, and defines the way the story is told. Essentially, the bones of it are the same as Broadchurch is. I play the big city cop who gets dropped into this one horse town, as he sees it, and is given, as his deputy, this rather local cop, who is perfectly good at her job, but from Carver’s point of view is something of a hick, who doesn’t really understand how modern policing works, and gets far too emotionally involved with everyone, and really needs to develop a healthy streak of cynicism. How would you describe Gracepoint to a new viewer? It’s hard to describe it completely comprehensively, because it’s many things I think. On one level, it’s a whodunit and the sort of spine of that is something that I think is familiar to us from many TV shows and movies of the past. There’s a very strong whodunit in there. There’s the procedural element of cops trying to solve a case. It doesn’t shy away from really showing you what the true repercussions of that will be. That really follows through the whole series. It’s very honest. It’s very candid, and yet at the same time, it’s a thriller as well. It just takes you on the journey. It kind of grabs you and takes you on this journey, which is a bewildering and thrilling and gruelling and gruesome, and yet, at the same time, I think impossible to turn off. I think it’s a compelling story. I think it’s been brilliantly told. I’m just very pleased to be a part of it. 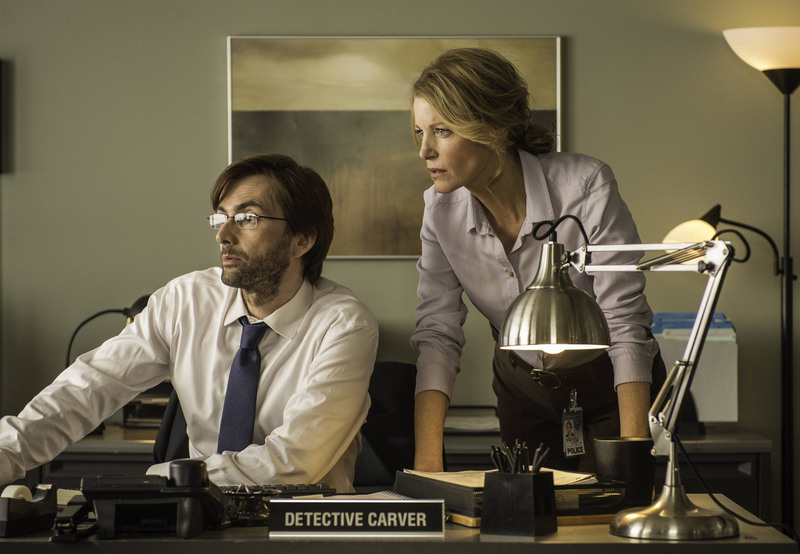 Did you approach your character any differently in Gracepoint than in Broadchurch? I just tried to play each scene as it came. I didn’t want to be self-consciously quirky about it. I didn’t want to re-create something for the sake of or reinvent something for the sake of reinventing it. I didn’t think he’s got to be different, I’ll give him a limp or a funny hat or a lisp. [laughing]. I just wanted to tell the story. I just approached each scene as openly as I could, and tried to tell that story as honestly and as well as I could. I think that’s all you can ever really do. Gracepoint premieres Thursday, Oct. 2 (9:00-10:00 PM ET/PT) on FOX.